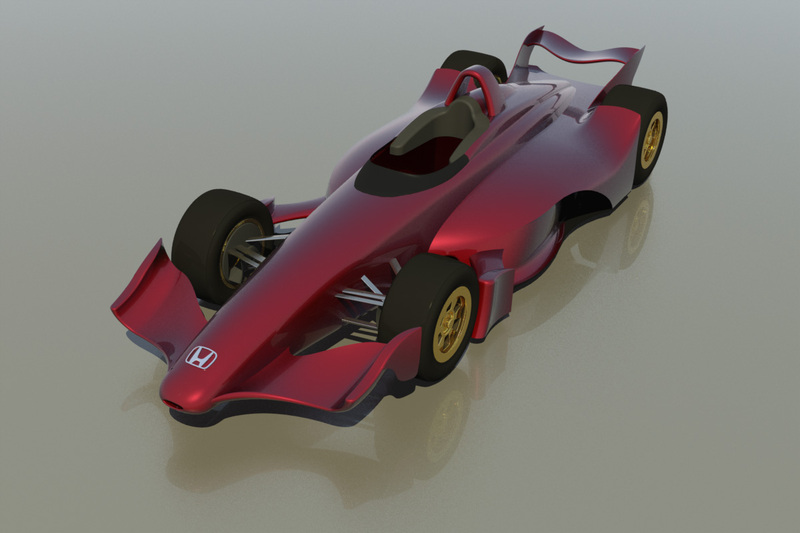 (Indianapolis, IN) 6 May 2010– BAT Engineering has released to the public the latest renderings for the proposed 2012 IZOD IndyCar design. At the core of BAT Engineering is three of the most successful designers in recent IndyCar history, Bruce Ashmore, Alan Mertens and Tim Wardrop, who will look to return to the winners circle at Indianapolis Motor Speedway with an innovative new IndyCar design once again starting in 2012. The BAT Engineering design has been formally accepted by the ICONIC board, and brings safety, efficiency, and a focus on developing a new high-technology industry in the Indianapolis area to the forefront of the process with an extensive plan for job creation in Indiana. Indianapolis, IN—BAT Engineering’s Alan Mertens and Bruce Ashmore will return to Long Beach this weekend for the 36th running of the Toyota Grand Prix as the two continue conversations with drivers, teams, and owners about what the future of the IZOD IndyCar Series will look like. 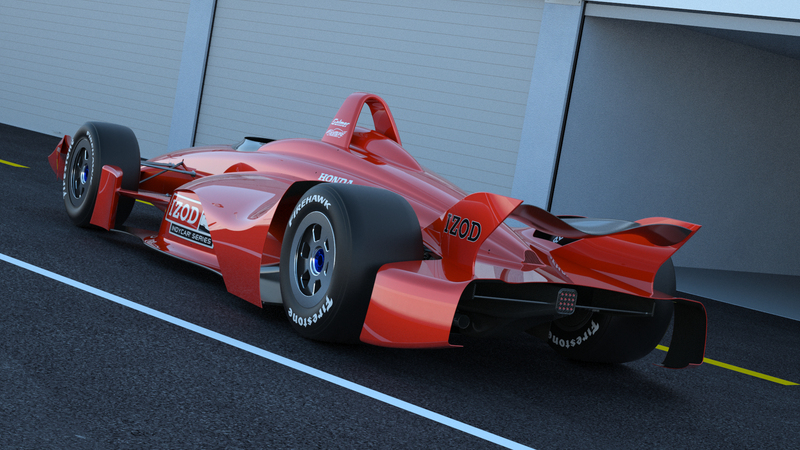 BAT Engineering has made a proposal to the Indy Racing League for the 2012 IZOD IndyCar design. The BAT Engineering design, which has been formally accepted by the ICONIC board, brings safety, efficiency, and a focus on developing a new high-technology industry in the Indianapolis area to the forefront of the process. Indianapolis, IN—BAT Engineering and the three Indianapolis 500-winning designers Bruce Ashmore, Alan Mertens and Tim Wardrop have released new design renderings to accompany their bid to build the next IZOD IndyCar for 2012. 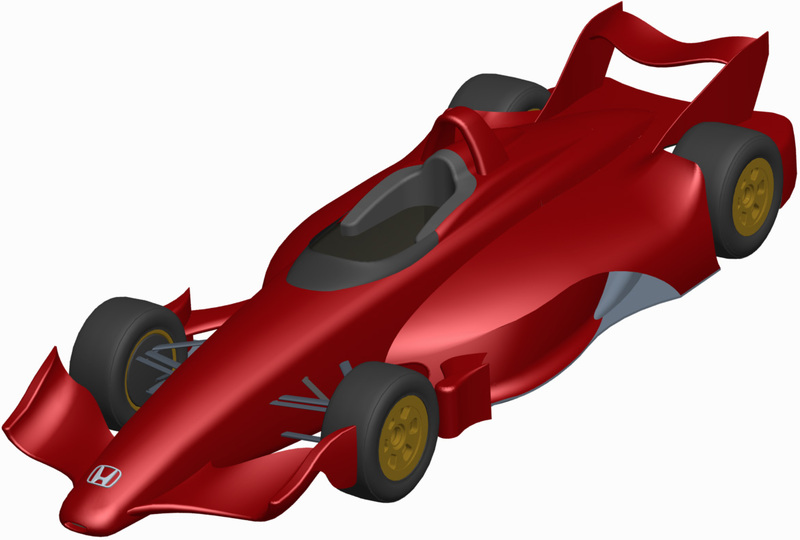 First publicly announced in March, the BAT Engineering proposal builds on the experience and innovation that the triumvirate of Ashmore, Mertens, and Wardrop bring to the project, with the three having designed and engineered machines that have travelled thousands of miles at the Indianapolis Motor Speedway, as well as tracks around the world. The BAT Engineering proposal has now been officially recognized by the Indy Racing League, which recently announced the formation of the ICONIC (Innovative, Competitive, Open-Wheel, New, Industry-Relevant, Cost-Effective) IZOD IndyCar Series Advisory Committee to manage and guide the selection process as the future of the sport is charted. With decades of experience being involved with new-car design and selection processes in a wide variety of racing categories around the globe, the BAT Engineering principals welcomed the news of the ICONIC board. Beyond setting new standards in mechanical grip and aerodynamic efficiency, the core concentrations for the BAT Engineering proposal focus on driver safety, creating a platform that will generate close racing, and a well-developed plan to enable the entire project to be designed, built, and supported using highly skilled American labor within a 30-mile radius of the Indianapolis Motor Speedway. BAT Engineering has expanded on their plans, developing partnerships with state and local organizations to foster the development of hundreds of new jobs in the Indianapolis area to support the next IZOD IndyCar. The next IZOD IndyCar will need to meet the exacting demands of a wide group of constituents, from the fans in the stands to the team owners on the pit lane to the mechanics preparing the racers to perform, and meeting those needs is an exciting new challenge as the Indianapolis Motor Speedway prepares for a second century and the next chapter in the sport. As Chief Designer at Lola, Ashmore was responsible for four consecutive IndyCar championships as well as the 1990 Indianapolis 500-winning car. 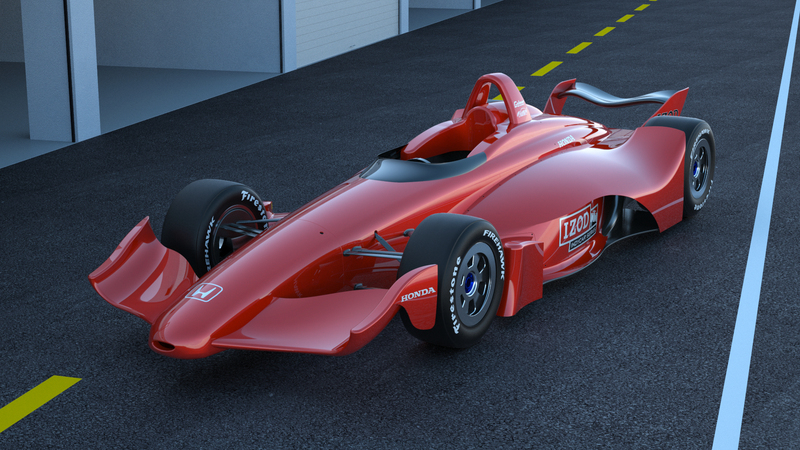 The latter has been described as possibly the most efficient IndyCar design to date. He went on to become President of Reynard North America as Reynard captured victory in the 1995 and 1996 Indianapolis 500 and totally dominated the CART series during the time when the series experienced the most competitive engineering challenge. Ashmore went on to steer several race teams to victory as a technical director, and also continued to design race-winning cars as head of Ashmore Design. Alan Mertens was the Chief Designer and Engineer throughout all levels of European Motorsport for March. He gained many successes in both Formula 3 and Formula 1 before he was selected to head up the design of the very successful March IndyCar series of cars, which gained four Indy pole positions and won five consecutive Indy 500’s from 1983 to 1987, and the IndyCar Championships in 1985 and 1986. He left to form his own company, Galmer Engineering, and was again successful at the Indianapolis 500. In 1992, Merten’s design won both the Borg Warner Trophy as well as the “Louis Schwitzer Award for Innovation and Engineering/Design Excellence in the Field of Race Car Design.” Mertens has also recently concentrated on designing disaster recovery systems in the Nuclear Power industry. Tim Wardrop has been involved with IndyCar and the Indy Racing League since its inception. Wardrop developed the first two generations of the first dominant chassis in the IRL at G-Force which resulted in two poles at Indy with Arie Luyendyk and two race victories with Luyendyk and Juan Pablo Montoya in his role as their race engineer. Wardrop still holds the record and the setup parameters for the fastest lap ever turned at the Indianapolis Motor Speedway in practice of 239.260 mph, as well setting the fastest ever single qualifying lap speed (237.298 mph) and four-lap record (236.986 mph). Indianapolis, IN–Three of the most successful designers in recent IndyCar history have joined forces, and will look to return to the winners circle at Indianapolis Motor Speedway with an innovative new IndyCar design once again starting in 2012. Bruce Ashmore, Alan Mertens and Tim Wardrop announced on Friday the formation of BAT Engineering (Bruce, Alan, Tim) and will be submitting a comprehensive proposal to the Indy Racing League as the next chapter in IndyCar racing is being written. The BAT proposal focuses not only on creating a dynamic new competitive platform for the IndyCar Series, but it also brings an extensive plan for job creation in Indiana. The three designers, each of which have been part of milk-drinking outings at the Indianapolis 500, bring experience, innovation, and extensive research to the process. The opportunity to develop a clean-sheet design was one that all three principals found too exciting to pass up. The next IndyCar design will bring the next chapter in the sports history by providing a safer environment for the drivers, delivering a compelling on-track racing product for the fans, and pushing the sport forward through a concentration on clean aerodynamics and high-efficiency energy use. IndyCar is well positioned to introduce a new product and take full advantage of the exciting new shows that the BAT Engineering project car will promote. The BAT Engineering entry is the right car to help this process, and will serve as the catalyst for re-energizing the motorsports industry that surrounds the Indianapolis Motor Speedway. The new design proposal will create new opportunity for the region through the design, build, and support of the next generation IndyCar. BAT Engineering’s proposal will best address each of these targets as the team puts their technical capabilities, years of experience, and design innovation on display once again. Following meetings with renowned Indianapolis surgeon, Dr. Terry Trammell and IndyCar’s Safety and Technical Directors, Jeff Horton and Les Mactaggart to ensure maximum safety, BAT Engineering started the design process with a core consideration-driver safety. With the very latest in Computer Aided Design and Computational Fluid Dynamics software to develop the shape and aerodynamics of the new race car, BAT Engineering is putting technology on their side for the design, and the firm has also made agreements with various software and simulations companies to most efficiently manage the modeling and pre-build testing of the entry long before it hits the pavement. BAT’s bid is based on a program that would see the design entirely built within a 30-mile radius of the Indianapolis Motor Speedway, using highly skilled American labor. Further details of the concept, which features strength, protected wheels and stable aerodynamics to ensure close racing, will be announced in the near future.